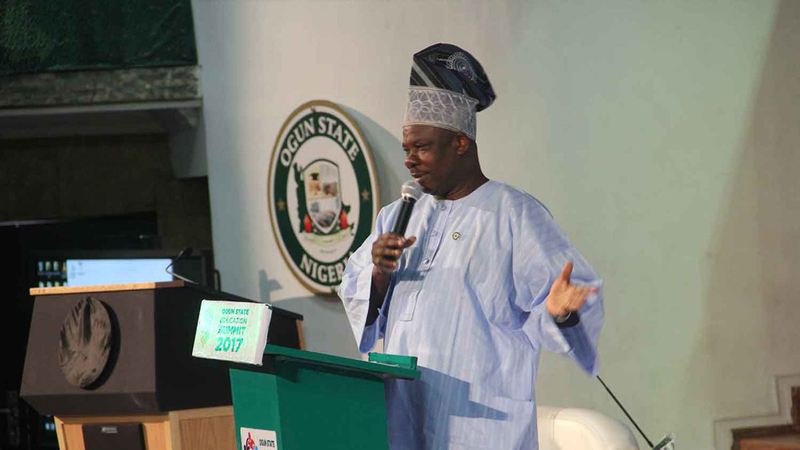 The inability of the Ogun State Governor Senator Ibikunke Amosun to foist a governorship candidate on All Progressives Congress (APC) in the state, through the consensus option, did not surprise many that are conversant with the intricacies and complexities of politics in the state. Amosun was in the lead of governors that forced the National Working Committee (NWC) of the party to make a U-turn on its decision to adopt direct primaries to elect all candidates after the party had successfully employed direct primary option to elect a flag bearer for Osun governorship.But back home, Amosun met with a stiff opposition from members of his party, especially those from Ogun East Senatorial District who rejected his consensus list and picked nomination forms. 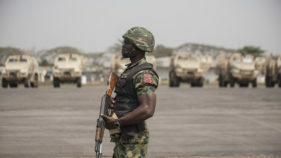 While those opposed to the consensus option can be said to be exercising their democratic rights, observers believe that their insistence not to allow Amosun nominate a candidate for the party was a rejection of continuity of his policies and programmes, especially infrastructural development, which is allegedly skewed to favour only Abeokuta North and Abeokuta South local councils out of 20 local councils in the state. His critics disclosed that the state government had in the last seven and half years constructed about 30 bridges with over twenty of those bridges concentrated in Abeokuta metropolis. Even the ones spotted at Ilaro, Arepo, Ijebu Igbo, Magboro and others outside Abeokuta remain incomplete. Politicians from Ogun East senatorial districts are latching on this supposedly uneven development in the state, which saw many roads and infrastructure in Ijebuland in a state of disrepair, using it to stand against the governor in deciding the next candidate of the party.The humongous debt profile of the state during the current administration which his critics described as unprecedented were part of reasons why opposition is strongest within his own party. Many believe that Amosun was right and tending to be just in his decision that his successor must come from Ogun West Senatorial district, because the zone has not produced a governor since the creation of the state in 1976. And this informed his choice of a member of House of Representatives, Hon. Abdulkadeer Akinlade from Ipokia local council of the state. Akinlade is seen as one of the core loyalists of Amosun. In fact, he was once served as the Governor’s Senior Special Assistant on Taxation and Revenue generation before he won election to the National Assembly. With the rejection of the consensus option, Akinlade will face other aspirants like Otunba Jimi Lawal, Dapo Abiodun, Senator Gbenga Kaka in the direct primaries slated for September 29. All the major APC aspirants struggling the party ticket with Akinlade are from Ijebu axis of the State. However, Ogun East politicians are also dissipating a lot of energy and resources against the political logic to allow the Ogun West to produce the next governor, despite the fact that former Governors Bisi Onabanjo and Otunba Gbenga Daniel were from Ogun East Senatorial District. Governor Olusegun Osoba and the incumbent Amosun came from Ogun central. The newly propounded argument of the Ogun East politicians is that Ogun State in 1976 was created from Abeokuta and Ijebu Ode Provinces and power should continue to rotate between the two provinces. To them, Remo was part of Ijebu Ode province, while Yewa must remain an appendage of Abeokuta province. One of the leading APC governorship aspirants from Ogun East, Otunba Jimi Lawal succinctly put the argument, thus: “We have two provinces in Ogun State, Ijebu province and Egba province. Egba has a sub division; Egbado or Yewa. Ijebu has a sub division; Remo. An Ijebu man had been a governor, so when the chance came back to Ijebu province again, they said let us go to Remo. Egba man had been a governor in the person of Chief Olusegun Osoba and when it went back to Egba province, which was supposed to be given to Yewa, Amosun got it. So, Governor Amosun could not have used the Egba/Egbado tenure and come back to say Egba/Egbado again, it is not possible. The foremost historian in an exclusive interview with The Guardian said: “The argument on two provinces is a matter of convenience for politicians from Ijebu. It is not historically founded. What is historically founded was that there were four colonial divisions. The Egbado was completely distinct from Egba. Egbado division has been changing name over the years, now it is Yewa. Before it was named Egbado division, it was Ilaro division, before then it was Imeko District, before then it was Western District of Lagos protectorate. All these names applied to one and only territorial entity. “Please note with emphasis that what they called Ijebu Province was part of Abeokuta province until 1939. Ijebu province came into existence in 1939. Egba division, Egbado division, Ijebu and Remo divisions were originally part of Abeokuta province. Remo Division came into existence in 1952 because they wanted to have their identity. “Ogun State was not created on the basis of province but on the four colonial-pillar divisions – Remo, Ijebu, Egba, Egbado. There was no argument on this. But Egbado rejected the ethnic labeling in 1995 and became Yewa, which now brings the acronym to RIYE, that is Remo, Ijebu, Yewa and Egba. The truth was that Daniel administration came upon the recognition of these four divisions. “In the second republic, the first election held in the state in 1979. Governor Onabanjo was nominated based on this four pillars upon which the state was created. And when Yewa people gave their delegates votes to make Onabanjo emerge as the candidate of the UPN, against Odunjo, they did not argue on the basis of provinces. After Onabanjo, Osoba came, nobody argued on provinces, after Osoba, Daniel came from Remo; they did not talk of province. It was true that when it was the turn of Yewa that we were split by former President Olusegun Obasanjo by bringing Olurin and Gboyega Nasir Isiaka into confrontation that paved the way for Amosun in 2011. “It is a moral issue that transcends political consideration to consider the only pillar out of four pillars that have not produced the governor. They supposed to be fair. The issue of provinces had long disappeared. The foundation of Ogun State is on four pillars and even if we want to upgrade it to the present constitutional arrangement, the constitution recognizes three senatorial districts from each state of the federation. Speaking on why Ogun West should produce the next governor, a member of House of Representatives, Hon. 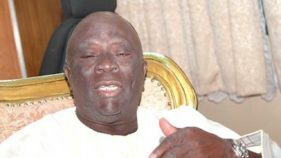 Kayode Oladele said repeated calls had been made over the years for a governorship candidate from the senatorial district based on principles of equity and justice.He said: “It is equally important to now include the fact that Ogun West is also endowed with competent and public service-oriented people who have the capacity to lead the state. These indigenes have all the hallmarks of leadership qualities as well as the competencies, rigours and capacities required for such an exalted post. “I believe that we are well-positioned, not just from the perspective of entrenching democratic balance in our state but also from the sheer number of intellectuals and competent people among us.”He stated that inability of the zone to agree on one aspirant out of several interests had been its bane, and cautioned that it is important that from the onset, over-riding interests of the people should be promoted beyond individual’s interest. 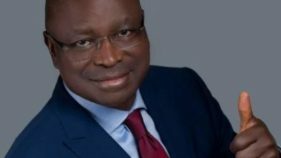 Be it as it may, if Akinlade eventually emerges as the candidate of the APC, he may have to contend with two-time governorship candidate, Prince Gboyega Isiaka Nasir (GNI), who is likely to emerge candidate of the African Democratic Congress (ADC). Isiaka had been the face of Yewa struggle for the governorship seat and he seems to be enjoying a lot of grassroots support because of the value he stands for and his clear understanding of the politics of the state. Indeed, a recent opinion poll conducted by a Radio Station in Abeokuta where listeners were allowed to call-in to express their preferences, Isiaka was among the front-row.Although the ADC being backed by former President Olusegun Obasanjo is relatively new to Ogun politics, the party is expected to push its tentacles like a wildfire across the state if it is to record significant presence. The internal crisis bedeviling the PDP between members loyal to the suspended Senator Buruji Kashamu and a member of House of Representatives, Hon Ladi Adebutu has continued to weaken the party. While the national secretariat of the party recognizes Adebutu faction, the court and INEC recognize Kashamu’s. Both Kashamu and Adebutu are from Ogun East Senatorial District and are equally nursing ambition to fly the party ticket in the next year’s governorship. The All Progressives Congress (APC) had passed a resolution endorsing direct primaries, in which case all the six governorship aspirants have deployed to the field. But last Thursday the party issued another release, announcing that it will adopt indirect primaries to elect its candidates where consensus option failed. The statement concluded that; “these resolutions override the earlier resolution of the state Exco passed on September 5, this year.But in his quick reaction, one of the governorship aspirants from Ogun East, Otunba Jimi Lawal rejected the resolution of the Exco and described it as handiwork of Governor Amosun to get what he could not achieve through consensus option. He said most of the aspirants agreed to the earlier resolution on direct primaries and it is too late for Amosun to change the rules of the game in the middle of the match.